There are many ways in which medical malpractice occurs. However, most of the time, the medical malpractice goes undetected by the patient. This is because most patients don’t have any medical education or training and so don’t know when a medical error has occurred. Sometimes the patient is under anesthesia or otherwise unconscious when the error occurs. Doctors usually don’t inform their patients when they’ve made an error. Also, with the exception of annual checkups, patients go to a doctor or other healthcare provider when they have some medical problem, and so if something medically bad happens to the patient (either shortly after seeing the healthcare provider or perhaps months later), the patient typically just chalks it up to his or her illness or medical condition and does not suspect malpractice. The only way to know if a medical error has happened is to have a qualified professional take a look at your situation. For a free case evaluation, contact us or fill out the form on the left. Failing to diagnose (or delayed diagnosis or misdiagnosis of) cancer as a benign cyst, leading to a worsened chance of cure, a shortened life expectancy, or death. Failing to diagnose (or delayed diagnosis or misdiagnosis of) heart disease or cerebrovascular disease, leading to heart attack or stroke. Failing to diagnose or delay in diagnosing an ongoing heart attack, or misdiagnosing a heart attack as heartburn or muscle strain or other benign condition, leading to permanent disability or death. Failing to diagnose or delay in diagnosing bacterial meningitis or other serious infection, or misdiagnosing bacterial meningitis as a simple headache or other benign condition, leading to serious permanent brain injury or death. Misdiagnosing brain bleeding as a migraine or other type of headache, leading to serious permanent brain injury or death. Failing to diagnose (or delayed diagnosis or misdiagnosis of) pulmonary embolism, leading to serious permanent brain injury or death. Failing to diagnose bone fractures, leading to surgery and potential loss of function. Failing to diagnose (or delayed diagnosis or misdiagnosis of) deep venous thrombosis (“DVT”), leading to pulmonary embolism and potential brain injury or death. Failing to diagnose (or delayed diagnosis or misdiagnosis of) a serious subcutaneous infection, leading to serious permanent injury or death. Failing to diagnose (or delayed diagnosis or misdiagnosis of) appendicitis, leading to serious injury or death. Prescribing Ibuprofen for a headache that is caused by brain bleeding. Prescribing antacids for chest pain that is caused by a heart attack. Prescribing Ibuprofen and heat for bone chips left in the spinal canal after spine surgery. Holding a one-year-old face down while lancing a boil on the back of his neck, causing suffocation and permanent brain damage. Operating on the wrong limb or other body part (yes, this really happens). Operating on the wrong patient (yes, this also really happens). Administering the wrong dosage for radiation therapy. Errors in care before, during, and after birth (“Birth Injuries” or “Cerebral Palsy”) – These errors happen when a doctor, nurse, or other healthcare provider gives poor medical care either during the mother’s pregnancy, during the labor and delivery process, or in the immediate postnatal period (that is, immediately after birth). In general, these are called “Birth Injuries,” the most serious of which is Cerebral Palsy. 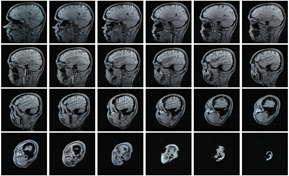 It is a topic deserving of its own discussion, and so for a further discussion of Cerebral Palsy and other Birth Injuries, click here. Nicking an artery, vein, or other body part during surgery. Negligent impairment of circulation during surgery, leading to injury to or amputation of the affected limb. Poor surgical technique, leading to a worse result or injury to adjacent body parts. Delayed surgery, leading to worse result. Failing to timely remove displaced bone fragments from spinal canal following back surgery, causing paraplegia. Leaving a surgical instrument or sponge in the patient. 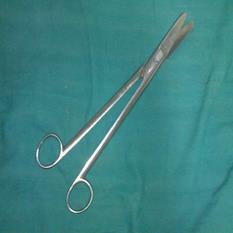 Use of unsanitary surgical tools, operating rooms, and/or gloves, leading to infection. Failing to properly treat postoperative complications. Failure to control perioperative (during the surgery) or postoperative (after the surgery) bleeding. Puncturing an artery during angiography, angioplasty, cardiac stent placement, or other procedure. Failing to fully investigate the patient’s medical history for possible contraindications to proceeding with anesthesia. Failing to inform the patient of risks if certain preoperative instructions are not followed (like not eating for a certain period time before surgery). Giving too much anesthesia to the patient. Not giving enough anesthesia to the patient. Failing to properly monitor the patient’s vital signs during anesthesia. Improper technique in intubating patients (putting a tube in the trachea, or windpipe, to assist with breathing during anesthesia and surgery). Prescribing or administering the wrong medication, leading to permanent injury or death. Prescribing or administering the wrong dosage (too much or too little), leading to permanent injury or death. Medication prescribed is incompatible with medications patient is already taking, leading to permanent injury or death. Hospital errors – Hospitals are liable for improper care provided by their employees, including nurses, medical technicians, and other staff members. Hospitals are also responsible if they have faulty systems or procedures in place and it causes injury to a patient. Failing to assist hospital patients in their use of the lavatory when those patients are at high risk of falling, resulting in the patient falling and suffering serious injuries, including brain injury. Failing to order restraints for an agitated or delirious patient, resulting in the patient pulling out tubes, catheters, and other medical equipment or falling out of bed and seriously injuring himself or herself. Failing to leave handrails up on gurneys and beds, resulting in the patient falling and sustaining serious injuries, including brain injury. Failing to make legible medical record entries or prescriptions that other healthcare providers can accurately read. Hitting a nerve during an injection. Failing to prevent dehydration and decubitus ulcers in hospital patients or nursing home residents. 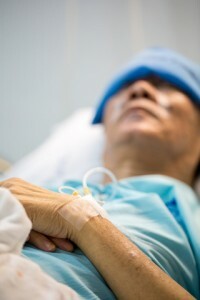 Failing to monitor hospital patients or nursing home residents on dialysis, causing hemorrhage from the dialysis catheter and serious injury or death. Pathology errors in analyzing biopsy and other specimens, resulting in serious injury to or death of the patient. Snipping the tip off of an infant’s finger when removing heavy bandages with scissors (yes, this really happens). The above is just a “pick hits” list of some of the more common medical errors. There are many more ways that medical errors happen. If you would like us to evaluate whether a healthcare provider may have made a medical error and caused substantial harm to you or a loved one, contact us and ask. You may contact us either by phone, by e-mail, or by filling out the brief confidential questionnaire on the left. It is free.